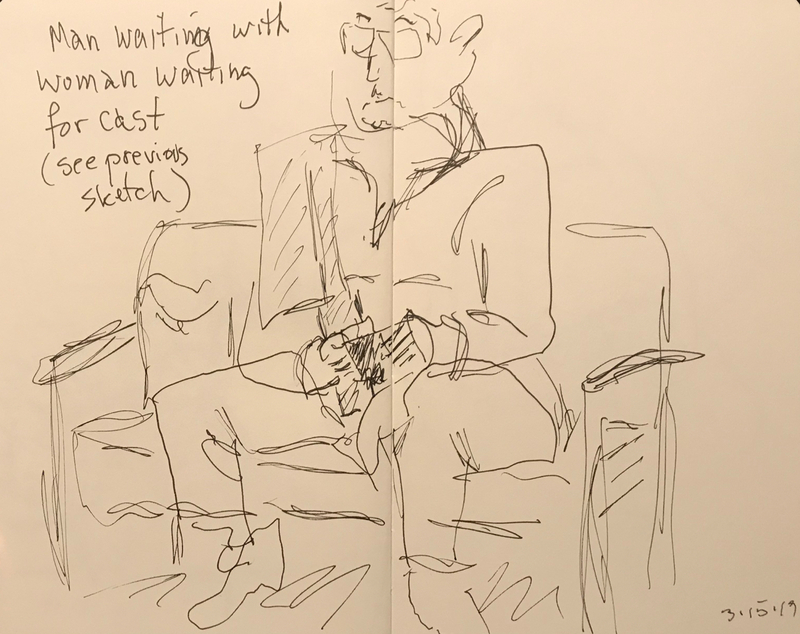 My moleskin notebook unfurled was not big enough to capture a sketch of the Woman Waiting to Get a Cast and the man waiting with her. (I did capture a knee of the man in yesterday’s portrayal.) He was a character too. This entry was posted in Personal Stories and tagged art, artistic interpretation, blind drawing, caricature, cartoon, creativity, drawing, pen and ink, pen and ink sketch, visual art. Bookmark the permalink.